I have been collecting since 1975 to make this Museum so there will be more miniatures than I can ever fit into the castle rooms. Many of the artisans are no longer with us on this plane. 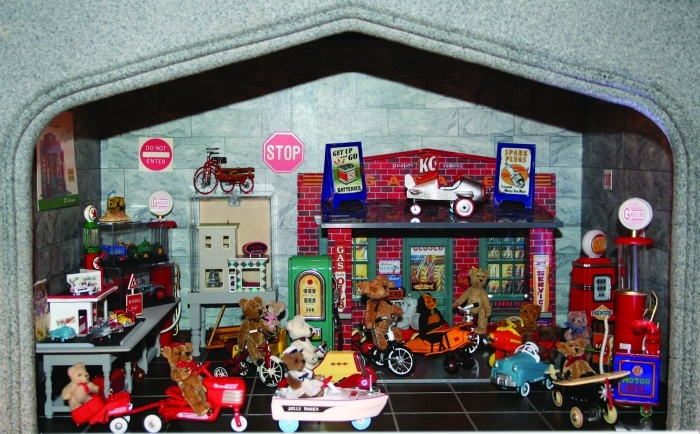 The car dealership on the left was made by Danny Rodriguez for Hallmark's tiny pedal cars. This contest was my motivator to get this project off the ground. There are to be 10 rooms in all and stacked to look like a big castle with an entrance tower in the middle. 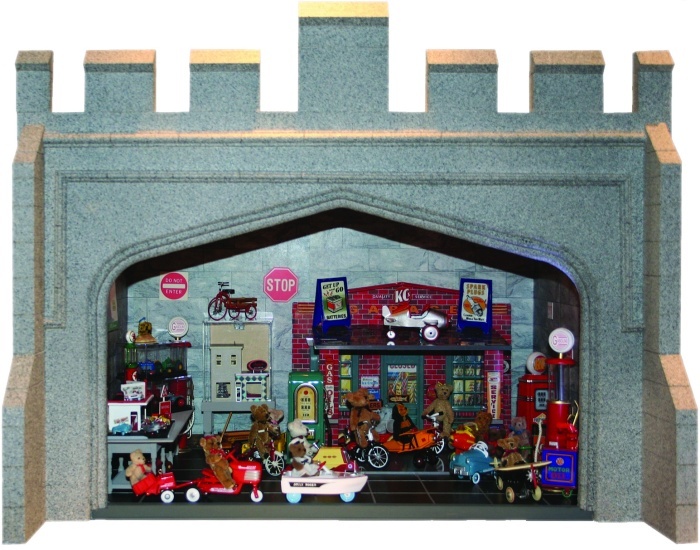 This is exhibit #1 and to follow are #2 - Fire Station with fire truck pedal cars and dollhouse size fire stations, #3 - Trains, #4 - Dollhouses, #5 - Dolls, #6 - Bears, #7 - Miscellaneous Toys / Sunday Toys-Arks, Mickey Mouse, etc., #8 - Tea room, #9 - Collections and Workshop, #10 - Gift Shop, and #11 Entrance Hall. Enjoy!